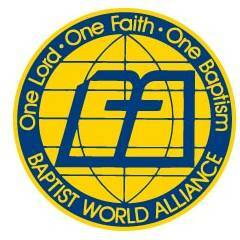 This release is from the Baptist World Alliance, a CBF partner. Washington, DC (BWA)–Baptists and other Christians in Nepal are protesting changes to the country’s constitution that limits religious freedom in the Hindu-majority country. Nepal’s parliament overwhelmingly approved the new constitution on September 17 by a vote of 507 to 25. Some small opposition parties boycotted the vote. Nepal became a secular republic in 2008 after the Unified Communist Party of Nepal won the largest number of seats in the Constituent Assembly election held in April of that year. Hindu nationalist parties and their supporters have since been agitating for the country to rescind its status as a secular state. Approximately 40 persons died during protests by mainly minority ethnic groups who fear discrimination as a result of the constitutional changes. The constitutional crisis comes even while the country is in the process of recovering from a devastating earthquake in April of this year that left more than 8,800 dead, injured more than 21,000 and caused some US$5 billion in damage. Please pray for Christians in Nepal!